After a great weekend in Norwalk, the Dream Chaser Racin’ team struggled in Atlanta. 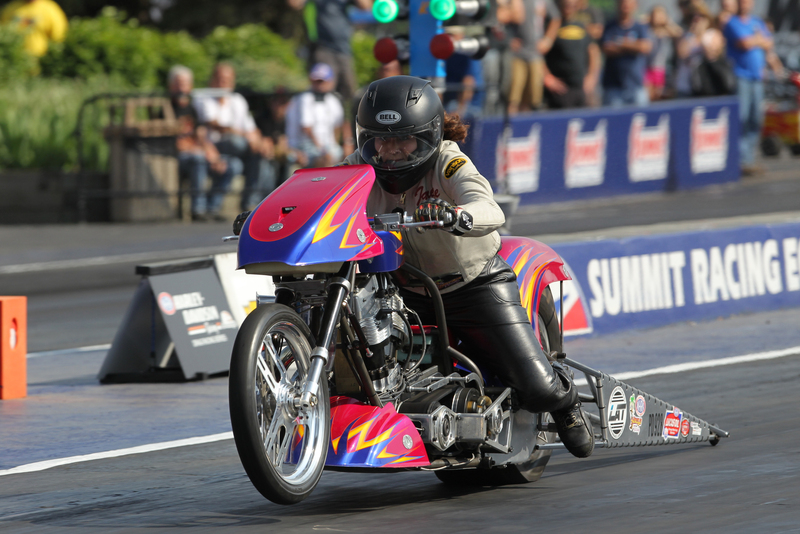 Racing back to back weekends, the team traveled to Atlanta Dragway for NHRA’s Harley-Davidson Drag Racing Series, NHRA Southeast Division 2 event. “We came off the truck strong, running 7.415 seconds in the first qualifying round” says Janette Thornley, “A 7.415 second quarter mile is a good number except when you’re running Kirby Apathy or Dale Niles.” Both ran stronger numbers, Kirby with a 7.267 ET at 171.23 mph to land him the number one qualifier spot and Dale with a 7.384 ET at 165.01 mph. “Given that we were only .15 seconds apart for qualifying, it was anyone’s Wally to win”, says Thornley. For elimination round, the team made a few tuning adjustments as Thornley was paired with Niles but it just wasn’t enough. Thornley lost running a disappointing 7.890 ET at 170.51 mph to Niles 7.381 ET at 174.35 mph. Look for Dream Chaser Racin’ June 14-16, 2013 as they make their way to the next NHRA Harley-Davidson Drag Racing Series event held at the Bandimere Speedway, Bandimere Colorado.